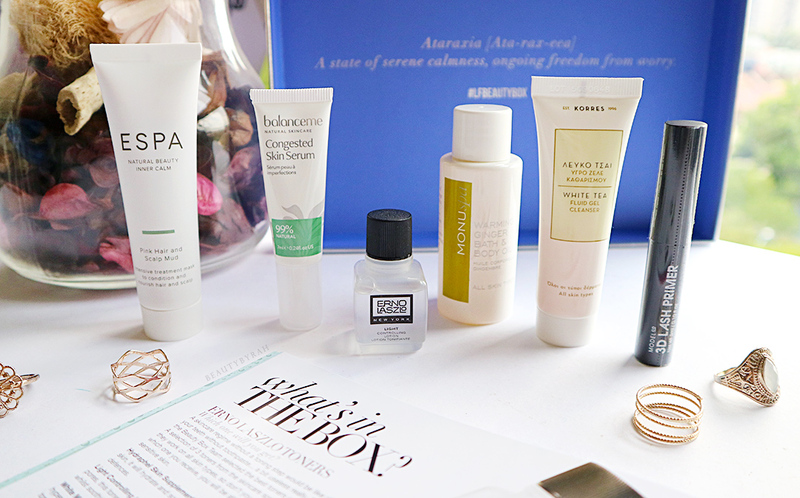 The best way to venture out of your comfort zone and try new products has to be beauty boxes. We, and that I really meant me, tend to settle into a routine over time and use the same products over and over agin. That isn't bad at all, but I do want to find out what else is out there and boy, there are tons and the brands I know are only barely scratching the surface. 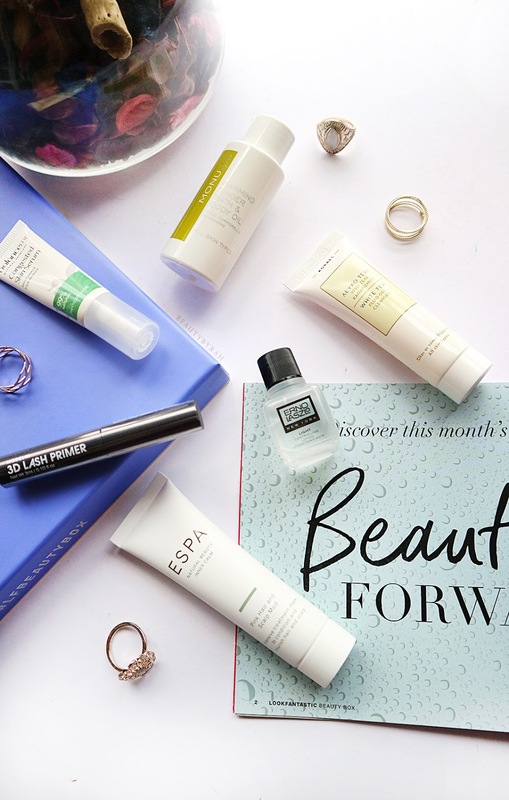 I've mentioned Look Fantastic beauty boxes before (when I unboxed their November Ready Set Glam Beauty Box here) and today, I have the Look Fantastic January Beauty Box to share with you! Yes, I know I'm slightly late, but better late than never. 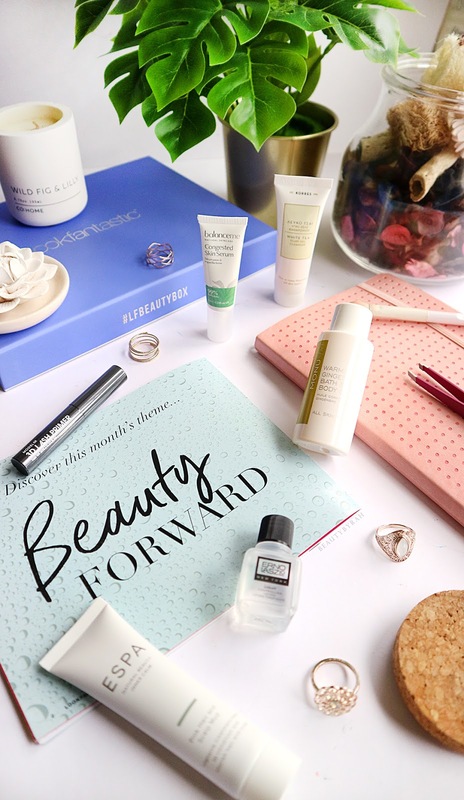 The theme for their January Box is Beauty Forward where the items are said to give us a glimpse of the upcoming beauty trends for this year. Besides, what better time to try out new products and reinvent our beauty routines than the very first month of the new year? In this box, we have 6 items in addition to an ELLE UK magazine - 3 skincare, 1 hair care, 1 body care and 1 makeup item. Firstly, there's the Balance Me Congested Skin Serum. This is a lightweight serum that helps to eliminate skin imperfections while keeping the skin hydrated and glowy. It contains kanuka oil (which is antimicrobial and antibacterial) to help clear congestion within the skin layers as well as eucalyptus which will calm any redness and inflammations on the skin surface. This comes in a squeeze tube which I really like as it is hygienic and fuss-free when it comes to dispensing the product. It can be applied onto the entire face to act as a primer before makeup or to specific areas to help spot treat which is what I have been doing ever since I've received it. It is not tacky in anyway and I do see a reduction in redness and size of my pimples after a few applications! Next, I got the Korres White Tea Fluid Gel Cleanser which is meant for all skin types. It contains 88.3% natural ingredients and its main ingredient is white tea extract, which is a natural antioxidant protection and toner for the skin. This smells absolutely divine and I can't wait to use it when I travel as this is small and compact! The box also includes a Monuspa Warming Ginger Bath and Body Oil. This smells so luxurious and rejuvenating! It contains a mixture of ginger, lemongrass and orange and is perfect for an uplifting and awakening experience in the mornings. This is also supposedly great for relaxing tight muscles after an intense gym session. I can't wait to use it! I also received the Erno Laszlo Toner and I got mine in the light controlling formulation which is meant for acne, oily and skin with enlarged pores (that's me!). This toner will help to gently exfoliate the skin to remove dead skin cells whilst soothing and calming irritation. 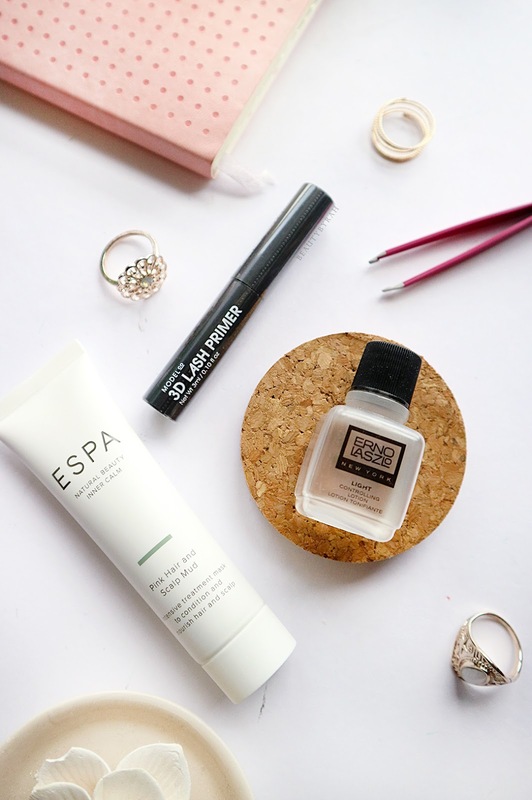 I actually rarely ever use toner as I go straight in with my facial essences but this seems handy to bring along during travels! Fifth item is the Espa Pink Hair and Scalp Mud, an intensive treatment to help condition and nourish the hair and scalp. This is enriched with Vitamin C and contains red clay and apricot kernel oil. I have not tried this out yet but I am throughly excited. I've not used a hair mud before so this is intriguing. It states to apply onto scalp through damp hair and leave it for 20 minutes before rinsing it off. You can also leave it on all night long (with a shower cap so you don't dirty your pillowcases) for a more intense hydration boost. Lastly, we have our makeup item which is the Model Co 3D Lash Primer. I've only used one lash primer before and it was by Etude House and I quite liked it, so I'm excited to try this out once my extensions come off. This last primer claims to condition and volumise the lashes and help the mascara to stay put all day. 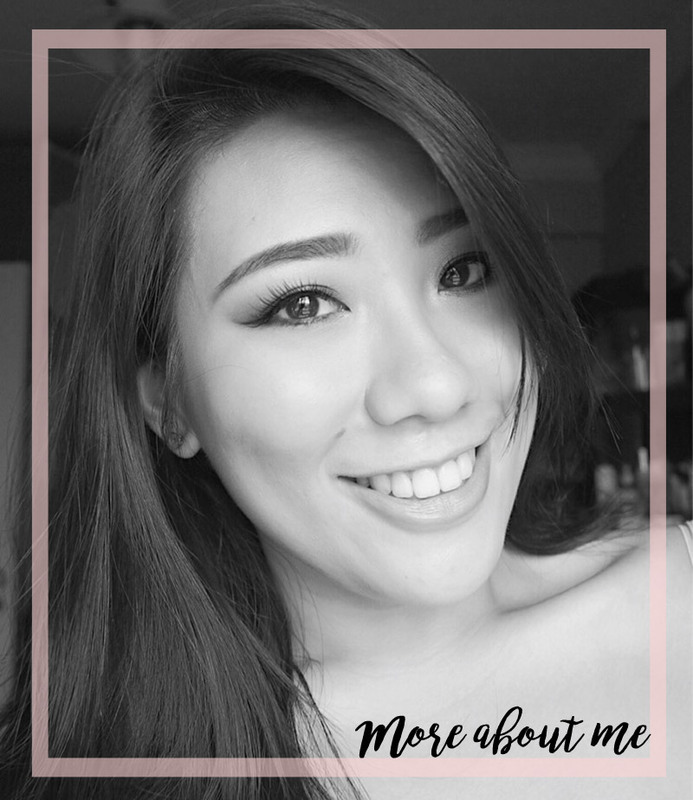 It is also great for maintaining the curve of the lashes, which is perfect as my asian lashes love to dip straight down during the day. It is white in formulation (so you can't wear it on its own like some others), but will be completely concealed with the black mascara that you apply right after. Will update on the blog if I like it! For more details on Look Fantastic Beauty Boxes, you can check out Look Fantastic's main website here. You can also take a sneak peek into February's Beauty Box (themed Beauty Rendezvous) here. For SGD27.50, I do think that the boxes are reasonably priced considering the items received. It is also a good way to build up my travel kit! 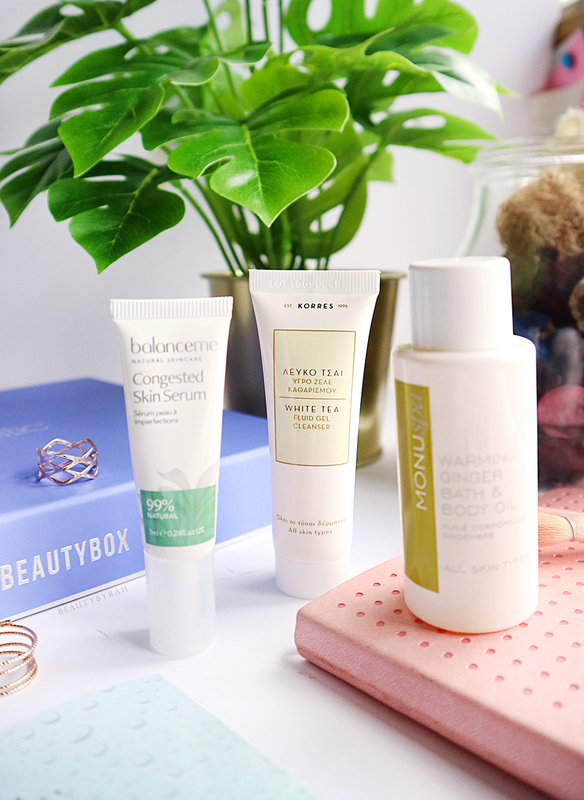 Have you tried any beauty boxes before? What do you think of them? **Beauty box was sent over for feature purposes. All thoughts and opinions expressed here are my own. This post does contain affiliate links.